On FB. Presented without comment. 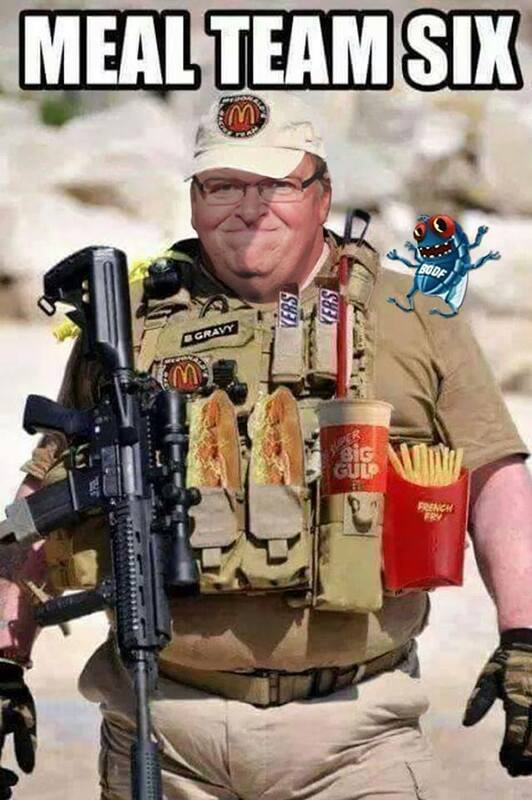 No way Meal Team 6 would carry a black rifle. A 3.5 foot hot-dog on a sling, yes, a black rifle. No. Being a Whale isn’t he supposed to be wearing a harpoon insignia instead of a trident? I think they call it the “Stout” instead of the “Budweiser”. Heffe Weisen out of the bottle, a loaf with massive crust.